Try the Writer's Diet test. Do your sentences sag? Could your paragraphs use a pick-me-up? If so, The Writer’s Diet is for you! It’s a short, sharp introduction to great writing that will help you energize your prose and boost your verbal fitness. Sword then shows the rules in action through examples from William Shakespeare, Emily Dickinson, Martin Luther King Jr., John McPhee, A. S. Byatt, Richard Dawkins, Alison Gopnik, and many more. A writing fitness test encourages you to assess your own writing and get immediate advice on addressing problem areas. 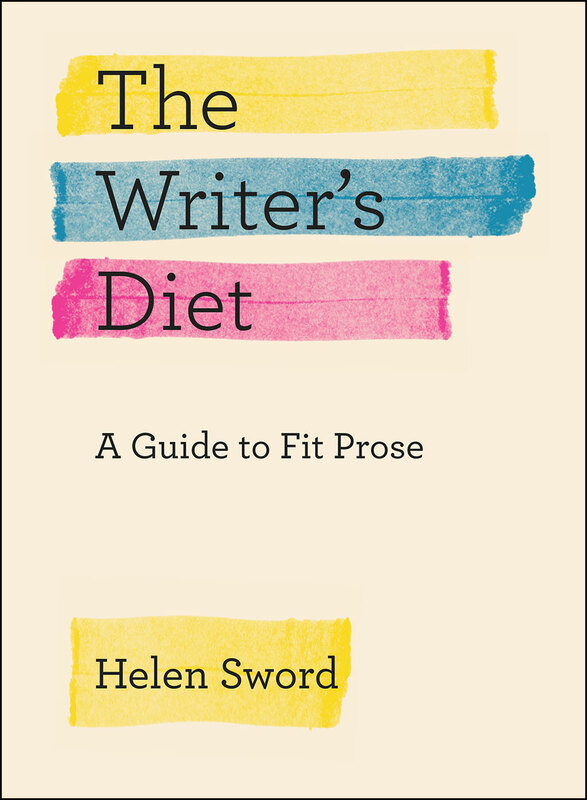 While The Writer’s Diet is as sleek and concise as the writing ideals contained within, this slim volume packs a powerful punch. With Sword’s coaching writers of all levels can strengthen and tone their sentences with the stroke of a pen or the click of a mouse. As with any fitness routine, adhering to the rules requires energy and vigilance. The results, however, will speak for themselves.